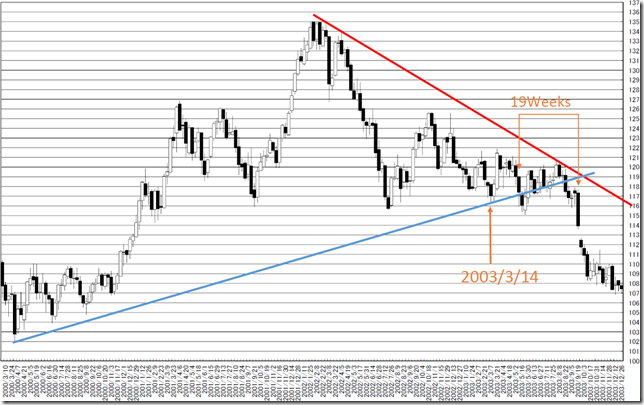 USDJPY mid-to-long term; we expected ” selling from 110yen around to 109 yen around” but it may not come true; down side breaking may start in mid-June? 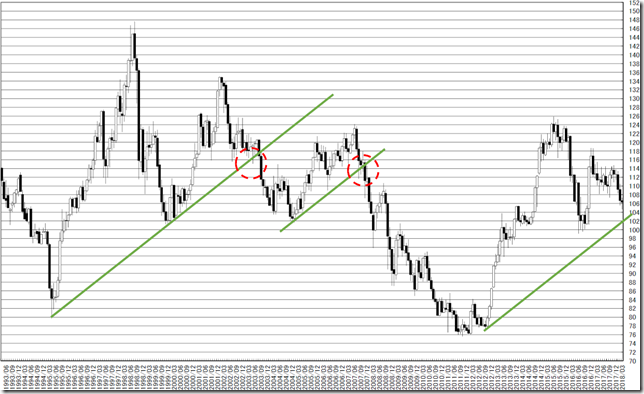 We reported “USDJPY mid-to-long term; selling from 110yen around to 109 yen around will be great opportunity. Going 111yen over, we will change our mind” in 3/2/2018. We are Yen longer but we cannot predict proper recovery high. Now may have already taken major high. 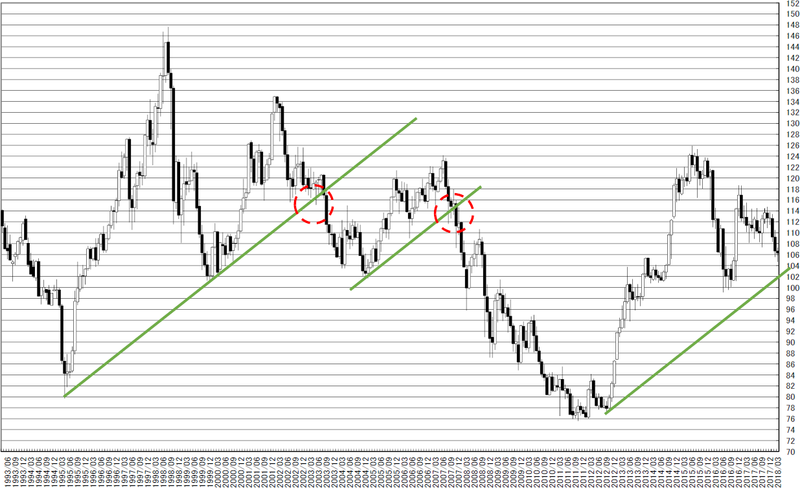 If the price will recover 109-110yen around this occasion will be reasonable. But recovering 112yen around seems to be difficult and is it will come true, we need to rebuild our mind. 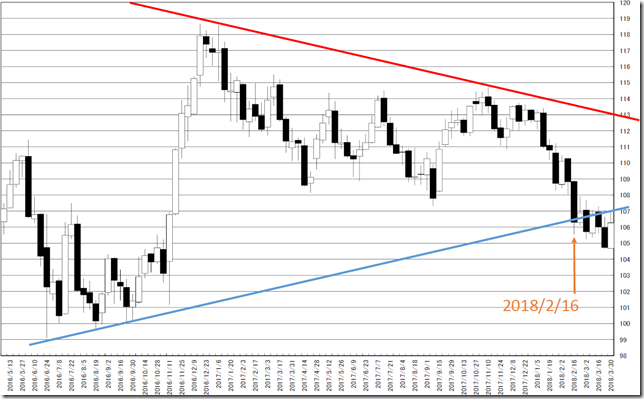 This is 300 months chart. 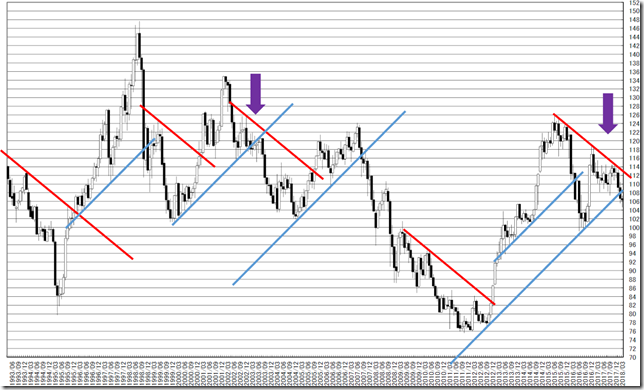 The price is running between red and blue lines. Similar case occurred in 2003. 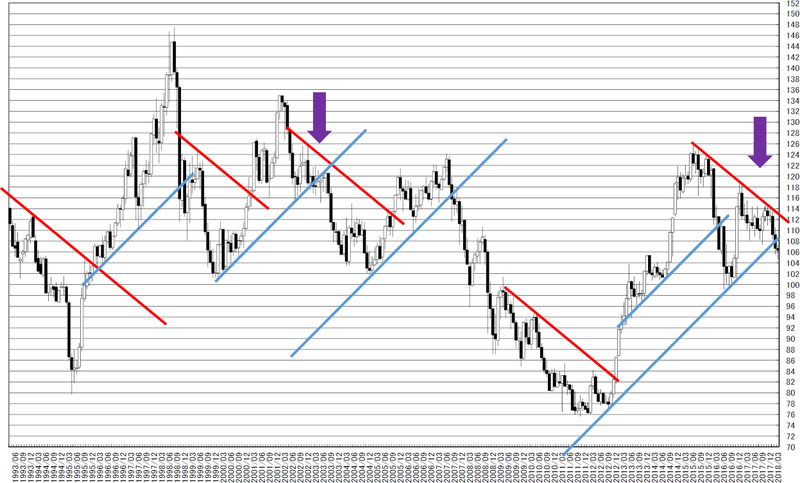 When trend line style is similar, price movement often becomes similar. The other point of view is green line. After cutting it and the price recovered. Applying to the latest market, the price seems to reach 100yen and recover. The price will reach the latter half of the year and this will be reasonable. In 2003 case, cutting red line and steadiness continued for some time and big fell occurred in 19 weeks. Applying this occasion to the latest market, this will be mid-June.